A fresh bill allows members of the State Duma Regulations Committee to interrupt MPs if they wander off the declared topic and temporarily deprive them of the right to speak. The draft law introducing these tough disciplinary measures has already been submitted to the upper house for consideration, a member of the Regulation Committee, Ivan Demchenko, (United Russia), said in an interview with Izvestia daily. The lower house members decided to follow suit, he said. Demchenko added that one typical example of the abuse of the parliamentary rights took place in September 2015 – back then the head of the Liberal Democratic Party Vladimir Zhirinovsky called the parliamentary majority MPs thieves and accused them of fomenting anti-government riots. The move forced the Duma chairman to stop Zhirinovsky’s speech and all the LDPR MPs walked out of the session hall in protest. 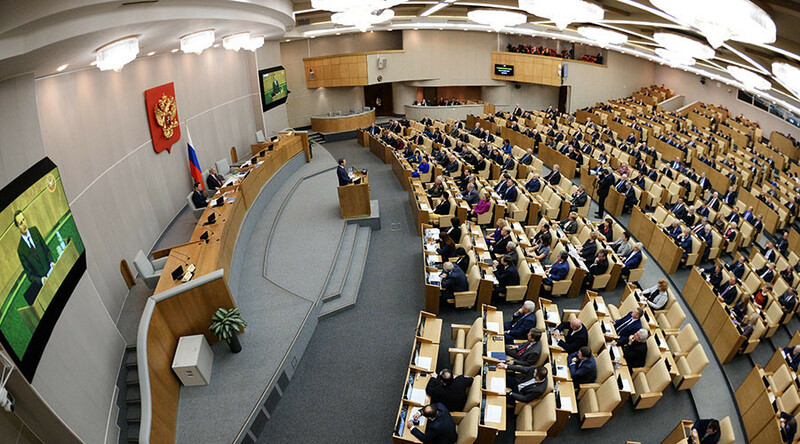 The existing draft provides that in cases when State Duma deputies start using the rostrum in the sessions hall for personal promotion, any member of the Regulations Committee can propose to first interrupt such MPs and issue a warning. And if they persist, to deprive them of their right to speak for the rest of the session. Communist Party MP Vladimir Pozdnyakov supported the general idea to toughen the discipline at Duma sessions, but said that he did not like the part that allowed MPs to be deprived of the right to express their positions. “Depriving lawmakers of their right to speak is excessive. We can forbid such people to make statements the next time they want to or ask them to undergo an examination [with a psychiatrist]. But I am categorically against introducing any regulations that would deal with the content of parliamentary speeches,” he said. MP Valery Gartung of the center-left opposition party Fair Russia noted that the new amendments were hardly just because it was impossible to tell if the orator is wandering off the subject or not. He said that the Duma speaker or his deputies could make remarks concerning regulations, but introducing tough frameworks would prevent MPs from backing their positions with proper arguments.